See Wyatt Earp, Doc Holliday, Virgil and Morgan Earp fight the McLaurys and Clantons in daily reenactments of the Gunfight at the O.K. Corral in The Streets of Tombstone Theater. 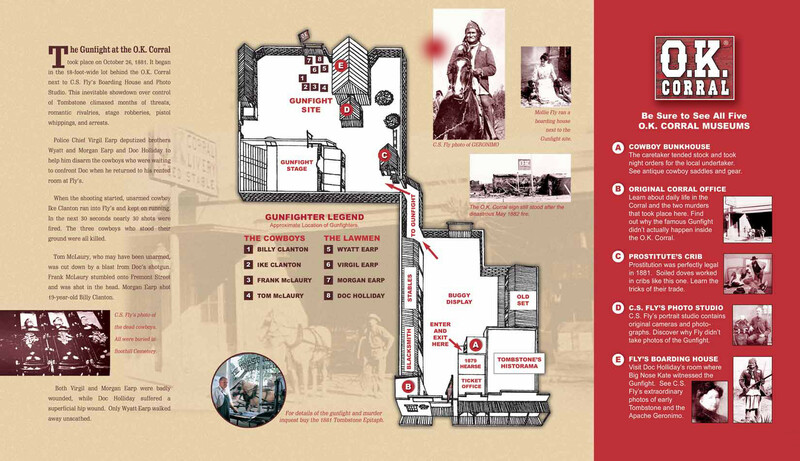 Stand beside life-size figures of the eight gunfighters located on the very spot where the Gunfight began according to a map on display drawn by Wyatt Earp himself. Learn what caused the 30-second showdown that left three cowboys dead, Virgil and Morgan Earp wounded. Tour C.S. Fly's Photo Gallery. See his world-famous photos of the Apache warrior Geronimo and his historic photos of 1880s Tombstone life. Visit Buckshot Rockey, our blacksmith. Walk through the O.K. Corral stables as they appeared in the 1880s. Sit in our buggies. Pan for gemstones in our running water mining sluice. Witness the dramatic events that made Tombstone famous: the silver boom, the great fire, the O.K. 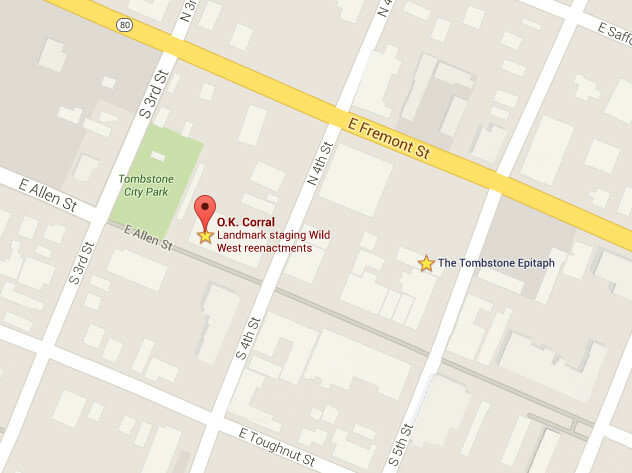 Corral gunfight, the assassination of Morgan Earp, and more. Hear actor Vincent Price narrate this exciting multimedia history of Tombstone from Geronimo's Apaches to modern times. The Historama Theater is located next door to the O.K. Corral. Admission included with your O.K. Corral ticket. FREE! Visit the 1880s museum of Arizona's oldest newspaper. Still published today, the Epitaph is located on Fifth Street between Allen and Fremont Streets behind the Crystal Palace Saloon. Read the original 1881 reports of the Gunfight at the O.K. Corral ®. A reprint of the 1881 Epitaph with the original Gunfight reports is included free with your O.K. Corral admission ticket. 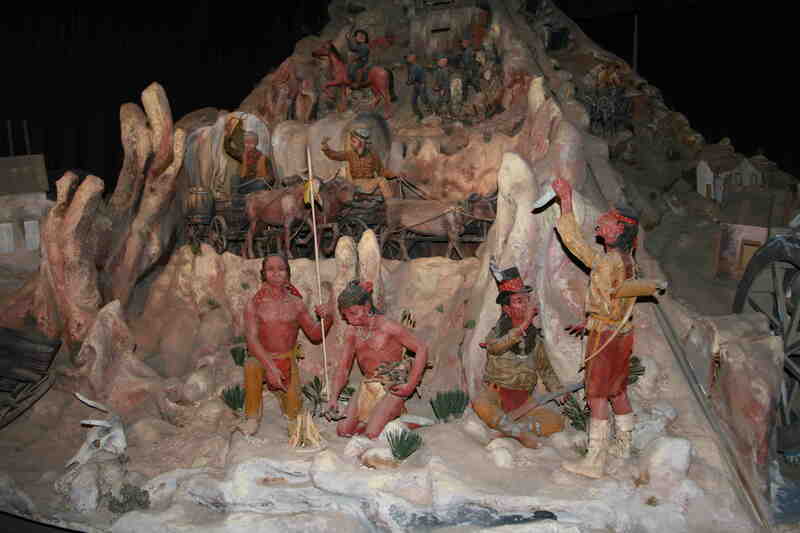 Learn how Epitaph editor, John Clum, captured the Apache warrior Geronimo and why he hired the Earps to defend Tombstone. Watch how The Epitaph was printed in the 1880s on the original Washington hand press. 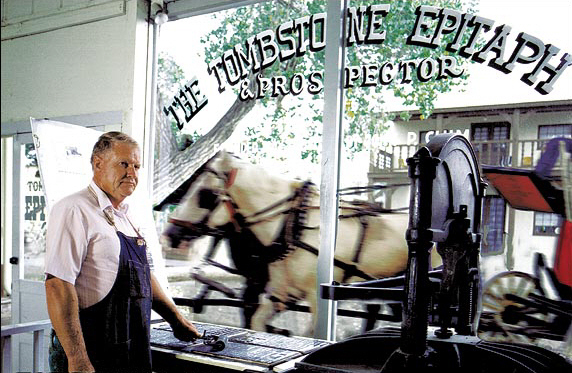 In the back shop, see composing stones, linotype machines, type cases, and interpretive displays that chronicle The Epitaph's "hot metal" days. And don't miss the best deal in Tombstone ... SUBSCRIBE to The Epitaph's National Edition, the historical monthly journal of the Old West, and receive four FREE historical editions! - Open every day except Thanksgiving and Christmas Day. - Additional shows are added when tickets sell out. - Show runs every hour on the hour. Ticket includes admission to the O.K. 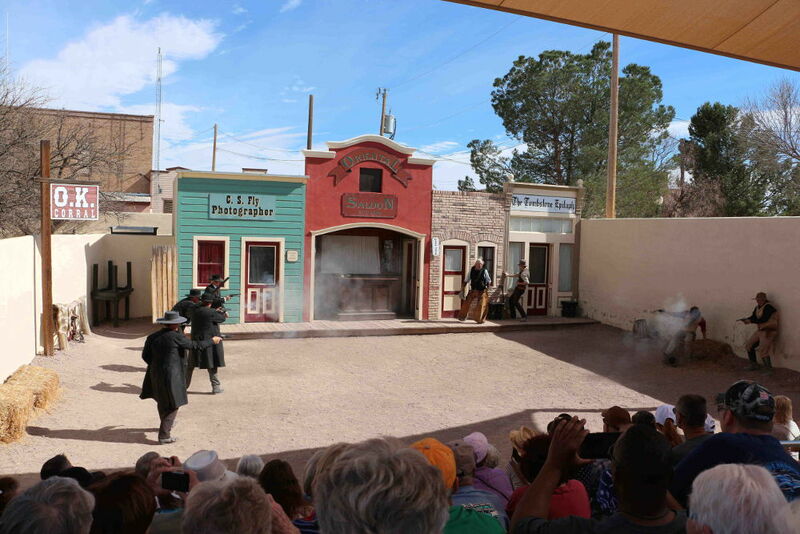 Corral ® Historic Complex, Tombstone's Historama, and a free copy of the 1881 reprint of The Tombstone Epitaph newspaper with the original reports of the Gunfight at the O.K. Corral.